I am so glad I am listening to the 40th anniversary of this album today, why listen to Nine Feet Underground when you can listen to the Alternate stereo mix of Nine Feet Underground. Maybe my new book will be called, 1001 Alternate Mixes to Hear Before You Die, a surefire hit? I am a closet fan of Nine Feet Underground, if you look beyond the Jazz Prog pretensions you can hear all sorts of good stuff. I am sure at least two of The Stranglers listened to this before they recorded Down in the Sewer on the first album. An aside; How many prog rockers does it take to change a light bulb? Two, one to change the light bulb, the other to write a five movement, double disc album called, Light bulbs at the Edge of Dawn. This entry was posted in Uncategorized and tagged Caravan. Bookmark the permalink. Nice call on the possible Stranglers path. I also dig Nine Feet Underground, but being in the closet about it for me is pointless as this is a gem that seems to have been lost to oblivion in my neck of the woods. If I were to openly announce my fandom folks around here would simply think I was misstating the title of cable TV series. Must admit that for me, when I think of this album, it is the twee glory of Golf Girl that first comes to mind. As a prog head and Caravan fan (yet not quite an expert on their music), I have to chime in about my love for this album, and the 40th anniversary edition. All those alternate versions are worth hearing, and the surround sound mix (by the always brilliant Steven Wilson) is a delight. Although I love “Golf Girl,” it’s a weird song to start the album with, and they might have attracted an even bigger audience at the time if they just placed the 22+ minute “Nine Feet Underground” on Side A. 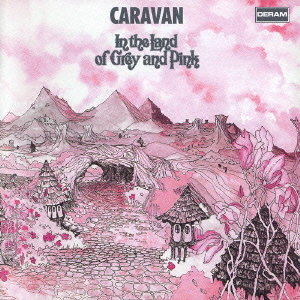 These guys are considered a second tier band by most people other than prog obsessives, but they deserve a lot more recognition and “In The Land Of Grey & Pink” is the perfect entry point for any Caravan newbies.